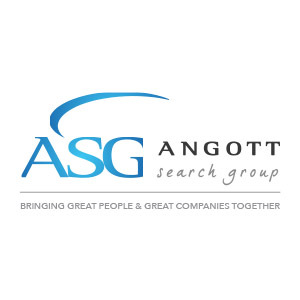 Angott Search Group has partnered with their thriving client in their search for a SAP IT Manager. This person will review, analyze, debug, and modify the design and function of the SAP business system. In this position, you will be responsible for configuring and maintaining new and existing functionality in two SAP modules of Finance and Controlling, with a deep understanding of asset management and product costing. You will plan, organize, direct, and provide continuous improve in the FI / CO modules of SAP to all projects implementing the company Enterprise template and to facilities using this template. This person will be managing both a direct report team and a matrix team. Proactively communicate and collaborate with external and internal customers to analyze information needs and functional requirements and deliver the following artifacts as needed: Functional requirements and Business Requirements Document and Use Cases. Tests, documents, and conducts end user training regarding system enhancements to ensure the system is being used properly and that it is meeting business needs. Bachelor’s Degree in computer science or related discipline required. 15+ years’ experience with SAP FI/CO configuration knowledge, knowledge of other modules would be beneficial. Multiple SAP full cycle implementation experience supporting the FI/CO configuration is a must. Industry specific experience with SAP Automotive Tier 1 Supplier solution is a must. Demonstrated ability in the design, configuration, and testing of FI/CO functionality to include, but not limited to: new G/L, asset management; LIV; product costing including Make-to-Stock; cost center controlling also working knowledge of common process for General Ledger, Accounts Payable, Accounts Receivable and Billing within an SAP environment. Report painter/ report writer, revenue accounting, security, workflow, multiple currencies and SAP CONCUR knowledge would be beneficial. Take initiative to complete challenging assignments, participate in teams and foster their progress, and create opportunities for improvement in key business processes. Prioritize among multiple assignments and indirect reporting responsibilities. Ability to work in a fast paced environment and manage multiple projects. Consider and seek out the impact of his/her actions within the team. Actively seek collaboration with internal and external team members. Proven track record of meeting commitments, with the highest standards of ethics and integrity.